Dental implants are an excellent treatment option for the replacement of missing teeth. Excellent cosmetic and functional result requires technical and artistic skills, experience, good support by other dental specialists and dental laboratory. 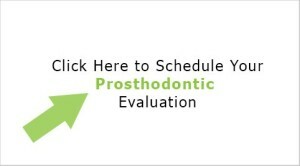 Seattle Prosthodontists Drs. Alexander and Kavita Shor are striving to make excellent outcomes for every patient. See before and after dental implants performed in our office. Drs. Shor completed all restorative work in these before and after cases. Dental Implants for the Replacement of Hopeless Anterior Teeth. Patient presented tour office with several hopeless teeth due to the severe form of gum disease. We coordinated a comprehensive dental treatment which included braces, oral surgery, and restorative treatment. We replaces upper right central incisor and left lateral incisor and all lower incisors with dental bridges. Below photos shows before and after smile. Patient presented to our office with the missing right central incisor due to the traumatic accident. We replaced this tooth with a dental implant. Patient was missing left central incisor caused by trauma. Patient also disliked old crowns on the top front teeth. We restored missing tooth with dental implant and we replace old crowns with new restorations. Patent had congenitally missing central left central incisor. We replace this tooth with implant supported restoration. You can see before and after result on the photo below. Replacement of an Old Implant Supported Crown with New Restoration. Patient came to our office with a wish to replace old unsightly implant supported restoration on the left central incisor. We made a new restoration and patient was happy with her new smile. Patient was missing all upper teeth and all lower molars. Patient disliked his dentures and wanted to have result which closely mimicked natural teeth. We replaced his missing upper and lower teeth with implant supported ceramic bridges. Below is a photo of dental implants before and after. Patient came to our office with missing and compromised teeth. Patient’s existing restorations were breaking down and patient was looking for a beautiful smile. We restored several upper teeth with dental crowns, upper anterior teeth were replacement with implant supported ceramic bridges. Lower teeth were restored with implant supported denture. Patient wad thrilled with the result. At our Seattle dental practice we specialize in the dental implant restorations. The before and after photos show results we routinely achieve in our office. Please contact us for en evaluation.